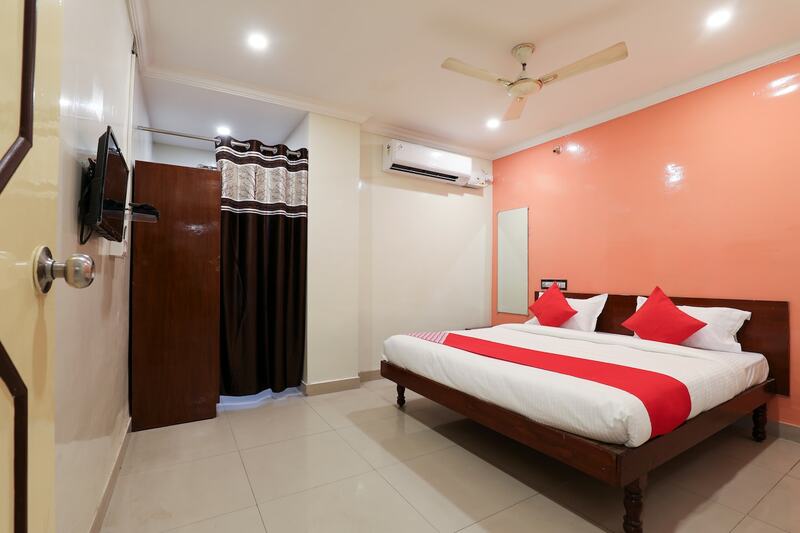 Vishnu Priya Residency is cosy hotel located near Y Junction in the Moosapet area in Hyderabad. Some of the major attractions nearby include the Buddha Statue, Shilparamam, Love Hyderabad Sculpture, and NTR Garden Toy Train. The hotels decor is simple yet tastefully done. The rooms have a king sized bed and are equipped with amenities like AC, geyser, and TV. Other amenities offered by the hotel include parking facility, laundry services, free Wi-Fi, and power backup. Some of the nearby eateries and restaurants you can enjoy include Pride of Hyderabad, Al-Saba, Deccan Durbar Restaurant and Sangeetha Restaurant, Eating Buddha and Siddique Kebab Centre.